Accurate measurements of observed frequencies of solar oscillations are providing a wealth of data on the properties of the solar interior. The frequencies depend on solar structure, and on the properties of the plasma in the Sun. Here we consider in particular the dependence on the thermodynamic state. 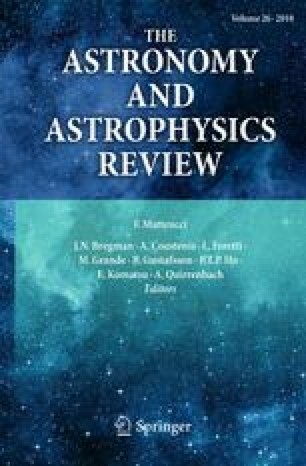 From an analysis of the equations of stellar structure, and the relevant aspects of the properties of the oscillations, we argue that in the convection zone one can isolate information about the equation of state which is relatively unaffected by other uncertainties in the physics of the solar interior. We review the different treatments that have been used to describe the thermodynamics of stellar plasmas. Through application of several of these to the computation of models of the solar envelope we demonstrate that the sensitivity of the observed frequencies is in fact sufficient to distinguish even quite subtle features of the physics of solar matter. This opens up the possibility of using the Sun as a laboratory for statistical mechanics, under conditions that are out of reach in a terrestrial laboratory.